Monogrammed towels are one thing in a relationship. Matching outfits are quite another. yet you&apos;ll rarely encounter a couple who go out of their way to dress the same. Until now. 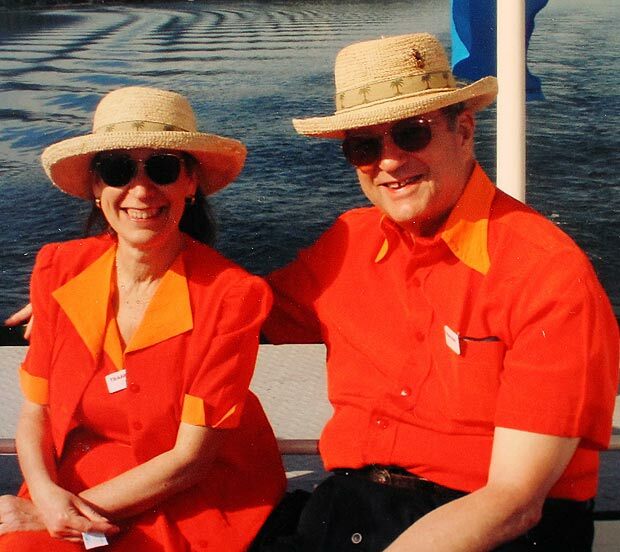 Meet Donald and Nancy Featherstone, who have worn matching handmade outfits every day for thirty five years. You know what they say – imitation is the highest form of flattery – so it seems this is one couple who are deep, deep in love. Or at least in admiration of one another&apos;s taste in clothing. 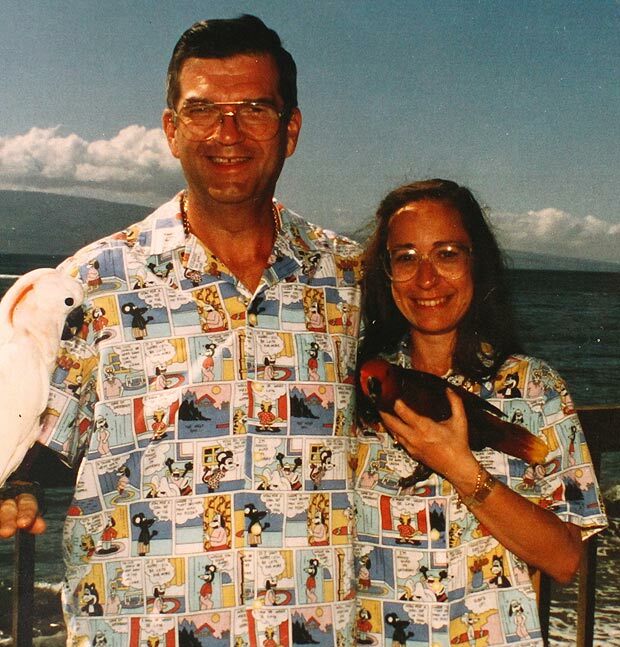 This sartorial love story began early in their relationship, when Nancy made Donald a short-sleeved shirt, knowing he&apos;d wear it "so as not to hurt my feelings". Nancy had some material left over so, after checking Donald didn&apos;t mind, she fashioned herself a matching blouse. The couple received so many compliments and comments from passers-by that they began occassionally matching their outfits. However, as Nancy&apos;s tailoring skills improved, &apos;occasionally&apos; became &apos;all the time&apos; – and the pair never had to go clothes shopping again. Over the past three decades, the Featherstones&apos; his-n-hers collection has grown to fill four wardrobes. Their 600 identical outfits – including coats, pants, blouses and accessories – hang two by two and are arranged by season and occasion. They pick their fabrics together at a local store and discuss their clothing options before going out together, just like any other couple – except they aim to look identical. Not even the tyranny of distance can mess up their outfit coordination. "Donald used to have to travel for business and when I packed his case, I&apos;d tell him which outfit to wear on which day, so we coordinated even though we were apart," Nancy told The Guardian in an interview. Imagine how much easier it could have been if Skype had been around back in the day? One print in particular makes up a large portion of the couple&apos;s shared wardrobes. Donald is the artist behind the iconic pink plastic garden flamingo, which he designed in 1957, so Nancy constantly keeps her eyes peeled for flamingo-themed fabric. To date, the couple have forty outfits that fit the bill. Unsurprisingly, the Featherstones receive their share of sniggers and stares from strangers – but Nancy views that as a sign of insecurity. "We both have very strong identities as individuals and wearing the same clothes doesn&apos;t affect this; clothes don&apos;t make your personality. Instead, dressing the same gives me a lovely feeling of closeness to Donald," she says. She also believes their sartorial antics could come in handy during an emergency. "We find it funny when watching those crime shows and they say, &apos;What was he wearing when you last saw him?&apos; We could just point to ourselves and say, &apos;This!&apos;"